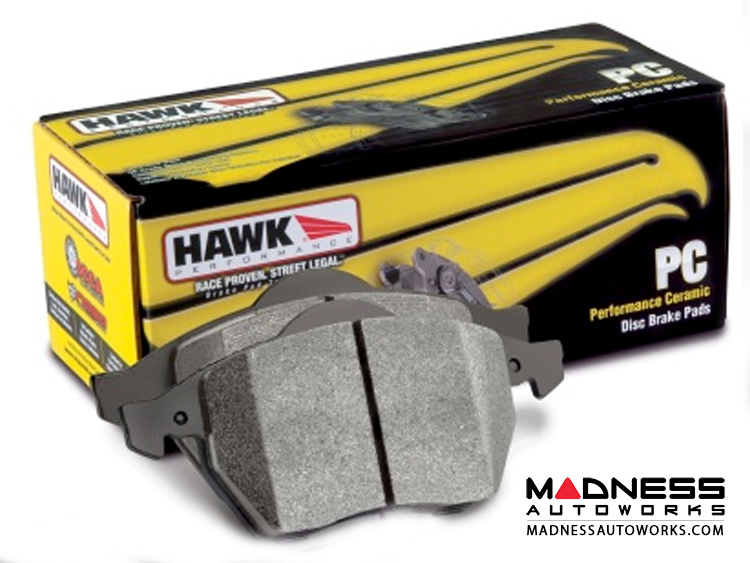 These Hawk HPS 5.0 Brake Pads are designed to be one of the premium replacement pads for your FIAT 500. For years, engine builders have been pushing motors to the limits of their ability, and at Hawk Performance, we’re one step closer to the ABS Rev Limiter. 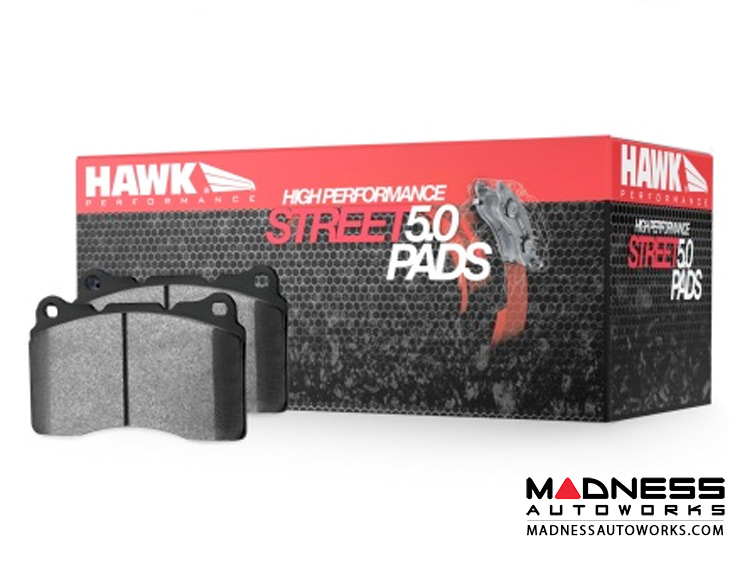 High Performance Street 5.0 pads give your vehicle the greatest stopping power and pedal feel without compromising its ABS. 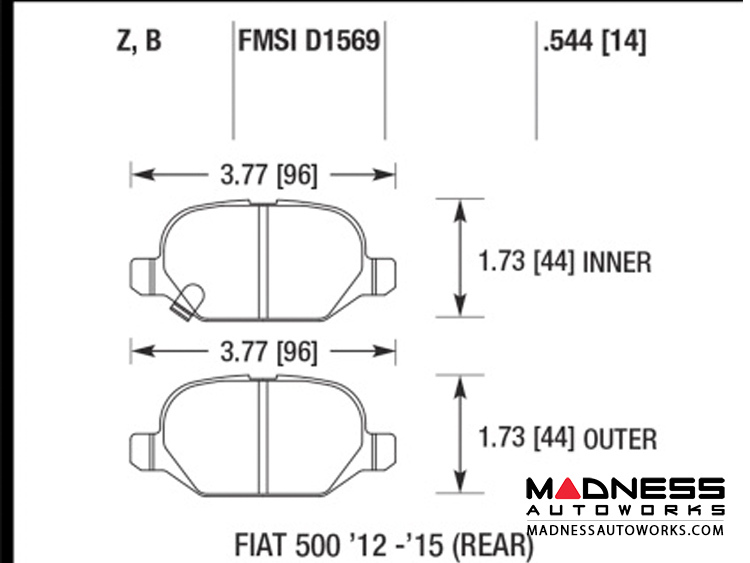 The new pads are Ferro-Carbon compound brake pads that provide advanced braking characteristics to enhance the driving experience. 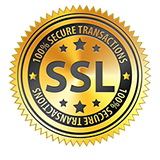 This new compound combines the safety and quality of aerospace design partnered with the braking technology of motorsports. The results are shorter stopping distances, improved performance under heavy braking conditions and street car friendly characteristics.